block if area cannot be cleaned, or if area is distorted. too deep block may be resurfaced. Figure 3-234. Cleaning block oil passages. from edge of hole can be reamed and bushings inserted. 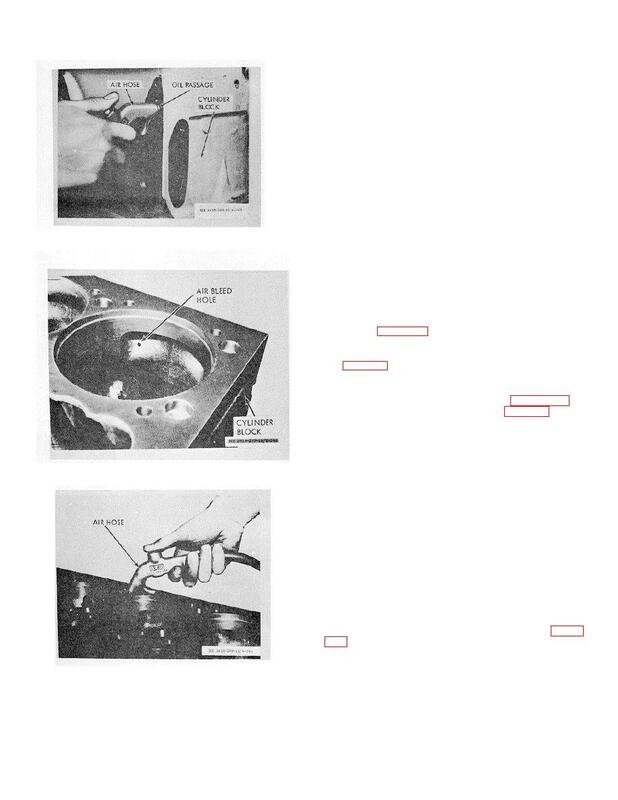 circumference of the liner as illustrated in figure 3-238.
determine if refinish of counterbore surface is necessary. Figure 3-236. Cleaning cylinder head capscrew holes.